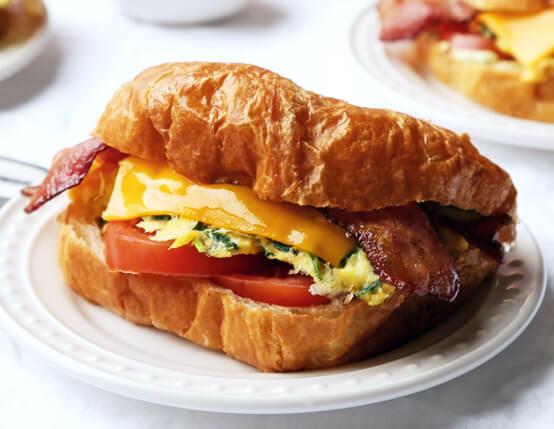 Start the morning off right with this hearty BLT breakfast sandwich recipe. Heat large skillet over medium-high heat. 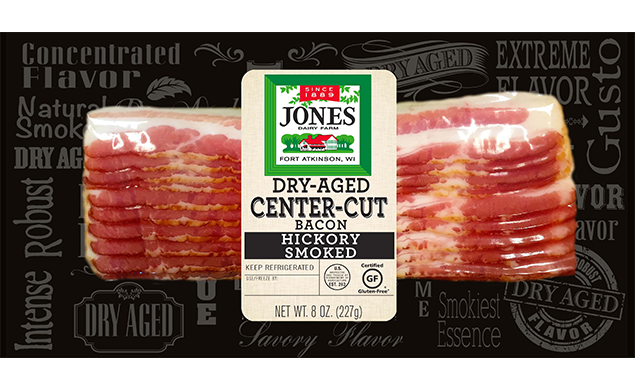 Cook bacon, a few slices at a time, depending on size of skillet, for 2 to 4 minutes, until browned and crispy on first side. Flip over and cook for 1 to 2 minutes on second side. Using slotted spoon, transfer to plate lined with paper towels. Repeat until all bacon is cooked. In separate large skillet, heat olive oil over medium-high heat. Add spinach leaves and cook until wilted.In medium bowl, whisk together eggs, milk, salt, pepper and hot sauce. Pour egg mixture into skillet with sautéd spinach. Using rubber spatula stir eggs to cook them evenly. Cook until firm. Mash avocado in small bowl and stir in mayo until smooth. Split each croissant down middle and liberally spread both sides with avocado mayo. Divide spinach scrambled eggs between croissants. Top each with slice of cheese, two slices of bacon per sandwich, and a few slices of tomato. Sandwich together and serve immediately. This is my favorite breakfast sandwich of all time. It does take more than 20 minutes to make but it is completely worth it. So good!